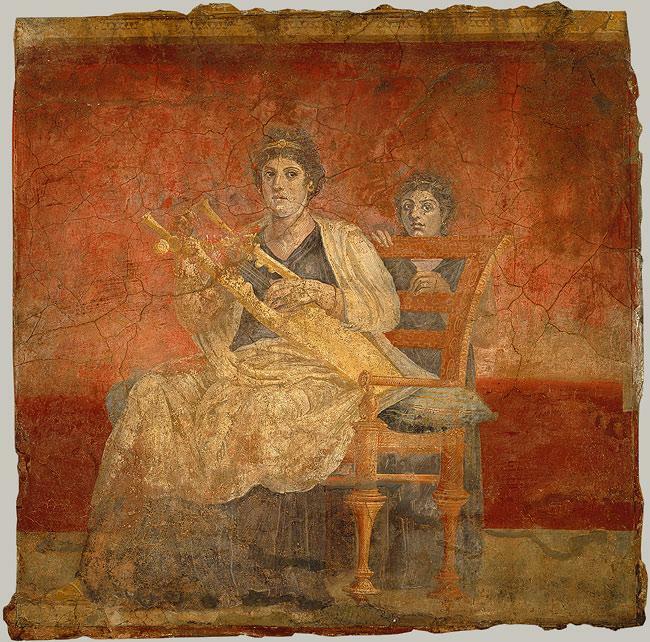 Ancient Roman music was influenced by Etruscan and Greek music. Later on during the Empire, there were also influences from Gaul, North Africa and Asia Minor. Romans really appreciated music. Music was used on various occasions including entertainment spectacles such as gladiator flights, public events, military parades, or religious events such as weddings, sacrifices or funerals. Many people imagine music from ancient Rome as being a rather primitive music with a limited number of (basic) musical instruments. It is true that not much is left from ancient Roman music, but Romans actually had a lot of musical instruments and their music was quite sophisticated. Wind instruments: instruments included woodwind instruments, brass and percussion instruments and stringed instruments. The tuba was like a long woodwind instrument made of bronze similar to a trumpet. And just like a trumpet, it had a conical mouthpiece which was detachable. It was used by the military and in public events and spectacles. The tibia was like a Greek aulos. It was often played at funerals in order to repel evil spirits. It produced a beautiful low clarinet-like sound. The cornua was an ancient Roman brass instrument similar to a French horn. It was about 3 meters long (9.8 feet) and it had the shape of the letter "G". Just like the tuba it had a detachable conical mouthpiece and was used for various events and by the military. The Romans also had the askaules which was like a bagpipe. String instruments: Romans also had beautiful string instruments such as the lyra, the cithara, the lute or the harp. The lyra actually came from Greece. It was made of a tortoise shell or a wooden sounding body, two arms made of animal horn or wood, and strings attached to a cross bar and stretching to the sounding body / shell. The cithara gradually replaced the lyra. The cithara also came from Greece and was similar to the lyre but only larger. It had a wooden sounding box, two arms and string stretching from the crossbar to the box. It produced a loud and beautiful sound and it could be tuned. It was used for both popular and refined music. While the Romans played the lyra sitting down, the cithara was played standing up. The lute was like a small mandolin. It had strings stretching over a fret-board on which fingers would press to produce various notes. It had fewer strings than the lyre or the cithara but could actually produce more notes than the lyre. Romans also had the sambuca which like a large harp while the trigonum was a small harp which could be held in one's hand. Percussion instruments: Romans had bells, tambourines (called tympana), rattles made of wood or metal or the scabellum used to beat time. They also had other percussion instruments such as the timpani and the sistrum that came from Egypt and which was like a rattle made of bronze. They also had the cymbala which were cymbals that were clashed together to produce a sound. Other instruments: Romans also had more elaborate musical instruments such as the hydraulis which was a water pipe organ which worked with water pressure. It was used at various events and spectacles and wealthy people also owned and played such instruments in their homes. The Romans recorded their music using a Greek method which consisted of four letters corresponding to four notes with rhythm signs above each note that indicated their length. Unfortunately, very little Roman music has survived. There are more surviving written recordings of ancient Greek music than of Roman. Roman music was monophonic consisting of single melodies and not harmonic. There were music competitions such as the ones organized by emperor Nero. Musicians from all around the empire would come to compete. The pantomimus was an early form of ballet that combined dancing, music and the equivalent of an opera singer.